There was a time when taping and finishing drywall was a pretty straight forward job. You put up the drywall, add mud, then tape, a little more mud, then finish. Oh, that things would still be that easy. the good news in this is that with Mishawaka Drywall located in South Bend, IN, we not only know all of the tricks that have been developed over the years to make simply jobs beautiful, but we also know how to tape and finish drywall so that it's done in some of the most unique and creative ways known to the business. When most people in South Bend, Indiana think of drywall, they think of practically anything but decoration. Thanks to a lot of development in materials as well as design, this is no longer the case. At Mishawaka Drywall we believe that anytime before a job is completed, there's always room for creativity. This includes taping drywall. 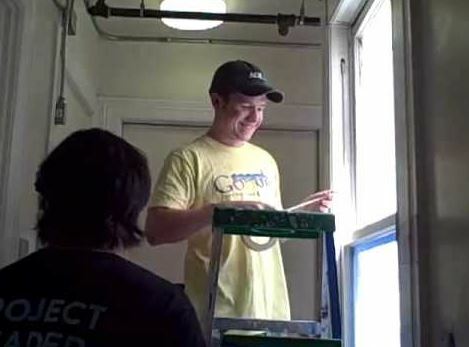 Whereas in the past taping drywall was pretty straight-forward, anymore it's not. Instead, there are a number of treatments that we can add to drywall and the mud that is used for jointing. These include swirls and all kinds of other interesting designs that can contribute significantly to the overall look of a room. 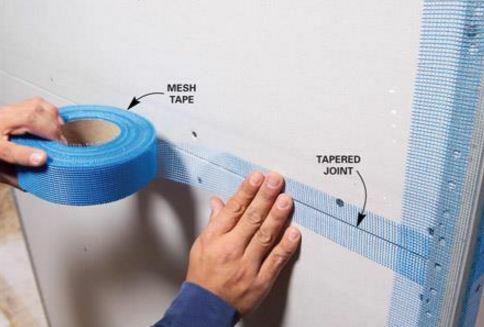 It should be noted in any discussion of taping and texturing drywall that despite the fact that most of the work is done with the simplest of tools, often just a plaster knife, taping texturing drywall is deceptively simple. It's not. Instead, it should be done by craftsmen who are both trained and experienced at performing the job. Otherwise, the result will be nothing short of what could be called a mess. With or without texturing, one of the other big jobs involved when applying mud and taping is sanding. in fact, without sanding the job isn't complete. In fact, it could be easily said that without sanding the finished product, the job isn't done and will show its imperfections for many years to come. Many firms will skimp on sanding, but not at Mishawaka Drywall in South Bend. Instead, we consider taping and sanding to be finishing touches on an overall job that add to the quality appearance that we strive so hard to attain with every job we do. 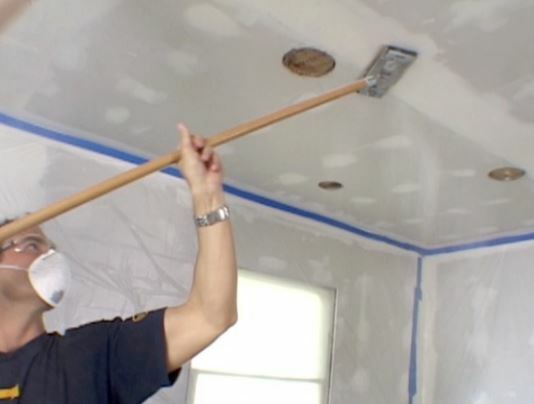 With taping and finishing drywall seams, all you have remaining are walls and ceilings of jointed sheets of drywall. Taping finishing sheet rock is not as easy as it looks. Sheetrock taping is all done overhead, which is difficult to do over extended periods of time. Simply stated, it's exhausting work. Learning how to joint drywall is easy, but doing it well and in a professional manner is much harder work. At Mishawaka Drywall we think the easiest way to finish drywall is with a professionally finished job. That's how we do any job.